2019 Finalist Best Independent True Crime & 2019 Finalist Popular Vote - Aust. Podcast Awards. 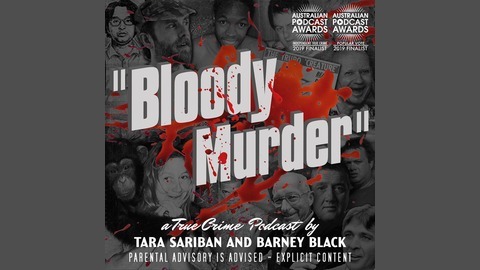 Barney Black and Tara Sariban discuss the dark details of lesser know true crime stories from Australia and around the world. 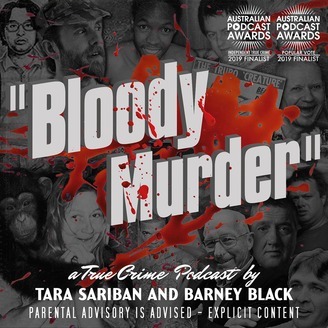 As avid listeners of true crime podcasts they aim to add to the conversation by talking about murders that haven't been done to death on other shows. Their humour comes from some rather unusual places but never at the expense of the victims or their families. In October 1993, 52-year-old hardware store owner Gerald Boggs was found murdered in his Steamboat Springs, Colorado home. Suspicion soon fell on his former wife, Jill Coit, a con artist and serial bigamist who had been married nearly a dozen times. Investigators would reveal Gerald wasn't the first of her husbands to be murdered. Volatile Mitchell Sims, liked pizza but hated Domino’s, where he worked. An argument with his manager would send him on a cross country revenge spree that would end in the deaths of three Domino’s employees. In this weeks Aussie As, Tara tells us about “Run, Daniel, Run!” a pair of fishermen lose their fish after being chased by a huge crocodile in the NT.